Stanley Mortison, the secretary of the North American consul, recruits Joan Allison, a young, attractive American new in Tangier and anxious to see the world, as an informant. 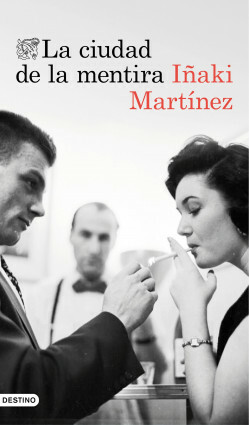 Hoping to get to know the cosmopolitan city better, they ask the young, Tangier-educated priest Martín Ugarte to act as their guide. This decision will cause a chain reaction with unexpected consequences, endangering the neutrality of the Protectorate and shaking up the lives of everyone involved as they unwittingly interfere with the interests of the powerful and dangerous Spanish and German consuls. A fascinating novel with a unique setting: exotic, cosmopolitan Tangiers in the 40s. Espionage, intrigue, romantic passion and incredible historical events in an exotic setting. Love and adventure, spies and traitors will mingle on this chessboard, playing the final moves of a game in which deceit is a huge part of a plan to dominate the world.